JDC - Archives : View of the sleeping quarters in the refugee camp in Jamaica. Title View of the sleeping quarters in the refugee camp in Jamaica. 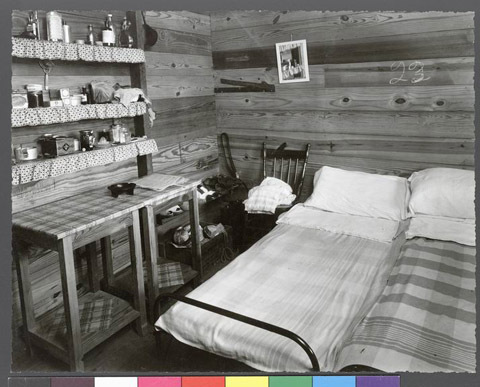 Description An interior view of the barracks showing numbered sleeping area with a cupboard and a table. In 1941, the Polish Government in Exile requested that the JDC paid for the transportation and guaranteed the maintenance of 200 Polish Jewish men, women and children, who were in Portugal, and sent them to Jamaica. The refugee camp in Jamaica was spread over 250 acres, and was estalblished by the British Government to care for several thousand evacuees from Gibraltar.